Scott Morris now plays a big role for a very successful board game company. But I want to quickly tell you how I met this president of Passport Game Studios (PGS). It was somewhere in the late 2000’s. Let’s say 2008. I had just learned how to play the WoW tcg and wanted to start competing in tournaments. So I would make the hour long trip down to Austin when I could to play competitively. It was during this time that I met Scott who was then working at a local computer company (Dell). He was a good card player and an even better miniatures (WoW minis) player when they came out. After he started playing the minis is when he launched his own gaming website for fun. Crit Happens was initially made to talk about the WoW minis to the community. But when the game stopped being made, he continued the website and shifted his focus towards tabletop games in general. This is when he started moving up the ranks in the gaming world. He became the Vice President of Arcane Wonders before moving up to where he is today. The President of Passport Game Studios. “Well, we have published 4 in the last 60 days alone.” He said. Wow! It’s crazy how much work they have been getting done. And as you will see in the interview, they are very selective as to what they publish. So I look forward to seeing what they come out with in the years to come. 1. 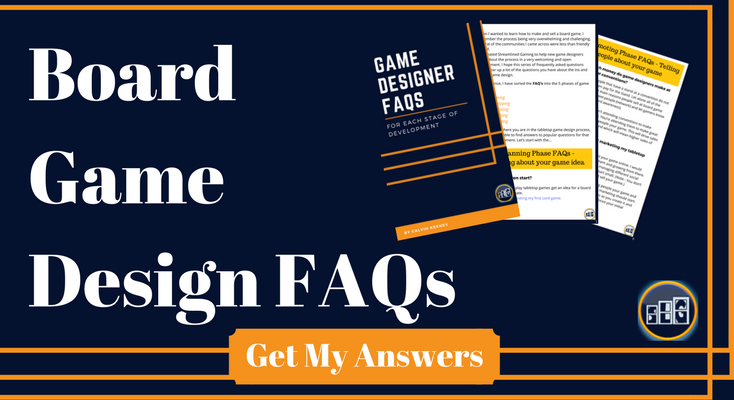 What are your general duties as the President of a board game company? I handle everything from General Manager duties to Distributor relationships as well as setting the company’s business plan and direction. 2. I’m sure you have many. But what is one of your favorite games that PGS has published so far? My favorite is Quartz, which we just pre-released at Gen Con this year and recently went through the full release in November. It’s a super fun press-your-luck game designed by one of my favorite duos, Sergio Halaban and Andre Zatz. They both have a way of designing games that drives the players to pay full attention to what’s happening on other people’s turns, always keeping everyone engaged. I love that. 3. How does a game designer go about pitching their game to a publisher like you? Usually they fire off with a fastball. In all seriousness though, it’s varied. I try to be as accommodating as I can, but with shows, even small ones, time is precious and it is always easier if we have a pre-scheduled meeting set up. I also prefer to review rules through a pdf or word doc prior to seeing a game. To be honest, just sitting down and playing a game cold is a hard way to pitch someone. You’re at the mercy of my mood at the moment, the group we have playing, so many outside factors. My advice for game designers is to reach out, form a relationship and develop it and your game. 4. Can you give us game designers several tips on working with publishers? What are some do’s and don’ts? Be open to change (mechanically or thematically), being married to anything specific is deadly. Publishers know what sells, and can help guide you to the right things the game needs for the market to bear it. Don’t make your objective “to score the most points”… objectives are things you aim for, goals; like being the most dominant species in a space game, or getting the most loot in a pirate game… just saying “The objective of this game is to score the most points” is about as exciting as mowing the lawn with scissors. 5. About what percentage of games that are pitched to you does PGS end up publishing? Less than 1%. It’s no different than trying to be the pee-wee football player who ends up in the NFL. There’s a glut of games available and our challenge is finding the A titles in the ocean. 6. What is your teams goal with the podcast you have started? Twofold; first, to raise more awareness to PGS as a company. And second, to drive home that we’re people, not just a company. My hope is people can relate to Chaz, Ryan, Rob and myself, as we all join in on the conversation, while also discovering titles in our catalog that may appeal to them. 7. Are you receiving good feedback from fans of the podcast? So far yes, but like anything, it’s a starting point. We have a lot of work to do to improve upon the content and context, and we’re committed to the long haul. 8. How successful was the PGS partnership with Barnes & Noble at their national tabletop gaming meetup (where you demoed Warehouse 51)? I think it went very well; it’s always an honor when a large specialty store like Barnes and Nobles takes notice of your game and promotes it. I think, like in all things, some things could have been done better, but Warehouse 51 (Ironically another game with Sergio’s design fingerprints on it) is a tremendously fun game in a public setting like that. And it was nice to see it get more attention. I still believe that the FLGS (Friendly Local Game Store) is where Organized Play is best delivered on, as so many retailers do such a good job creating and fostering good communities of players. But to be fair, not every FLGS can have a game night for every game out there. So in this case, it was a great opportunity for us to shed some light on a game that has room to grow outside of just the normal hobby channel. 9. Who did you get to make your Hop trailer and how much does an animated video like that cost? Our community manager, Chaz Marler is the guy behind all our game videos that have released this year. He’s great at editing and coming up with the scripts. So for us, it’s the cost of his salary. Price wise, I’ve seen everything from $250 to $2500 though, as it varies greatly across the board, mostly due to experience and capability. **Learn more about Tabletopia by visiting their website. 10. What are your thoughts on the future of playtesting game prototypes with the release of software like Tabletopia? I think Tabletopia opens up a world of possibility. Playtesting with groups across continents is huge, and Tabletopia makes that easy for publishers with their tools. I wish more people were open to technology and gaming being paired up. I too often hear the word “cannibalization” being thrown around, but I firmly believe if you do it right, digital augments and compliments physical. 11. How do you get your game on Tabletopia? For us, we work with Tabletopia publishers, sign a contract, and it’s a partnership. I believe they have several options on their site that can be sized to the right needs of a partner. 12. How long does it take your team to upload a game onto Tabletopia? Tabletopia does it all for us based on our contract, and it can take as little as 72 hours sometimes, to as long as a month, pending testing and redesign. Sometimes they are easy implementations and sometimes they are longer due to specific mechanics that need to be accounted for. But the Tabletopia team is tremendous and I can not say enough good things about them, their outlook on board gaming and digital, and their willingness to work with publishers. What will be PGS next big hit? Will it be bigger and better than their Tokaido Deluxe? Or Follow Scott on Twitter. Thanks to Scott for taking the time out to do this interview. If you have any ideas for future interviews, please leave a suggestion in the comments below. Check out last week’s interview of CoolMiniOrNot’s CEO Chern Ann Ng. Or learn more about 20 different board game types.